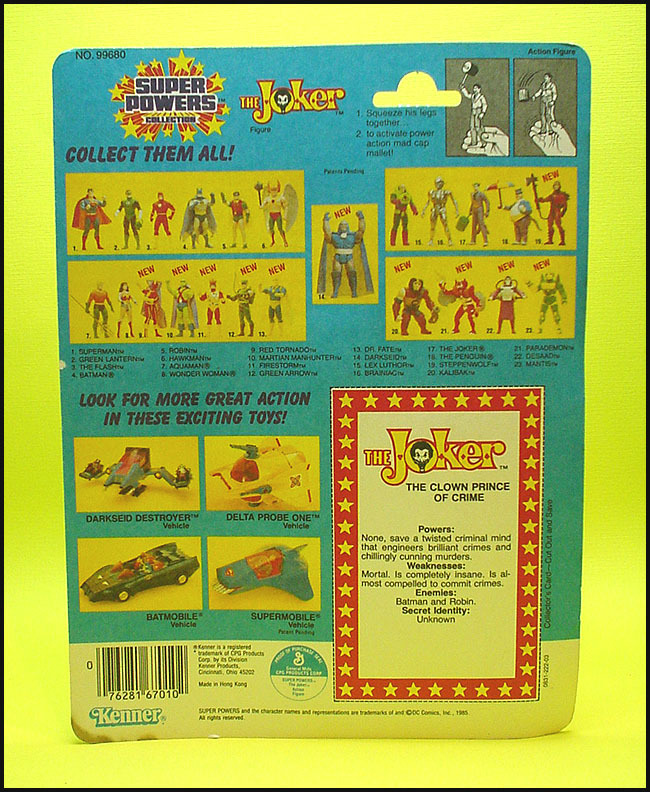 Kenner's re-release of The Joker on three of the four different card styles for the 2nd series action figure assortment is confirmed. One of the three confirmed packaging styles, shown above, is the 23-back card containing the "Fan Club Offer". While the card front contains a text offer banner in the lower right corner, the card back lacks any offer information. Instead, promotion details reside inside the mini-comic premium's inside front cover. Proof of purchase submission was not necessary for this promotion's redemption. Instead, the offer required submission of the "application" cut from the mini-comic or a 3" x 5" card containing name, address, and birthday (the same information requested on the "application") and a $3.00 check or money order by June 30, 1986. The Fan Club Offer Kit contained: charter membership certificate, color sticker, newsletter, deluxe patch, color photo, and reduced rate DC Comics subscription information. 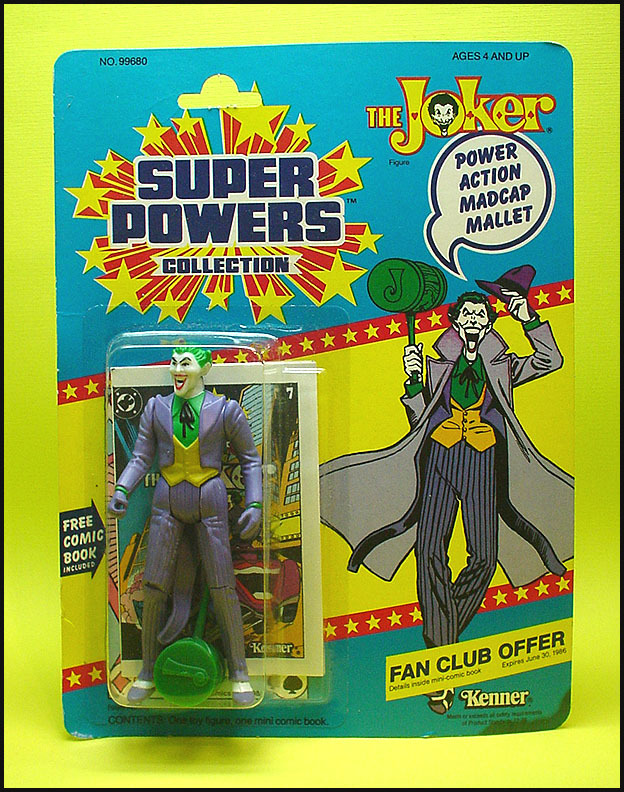 Kenner originally offered this promotion on 1st series "Fan Club Offer" card styles, however the promotion was re-issued for the 2nd series figure release. Kenner updated the expiration date located on the card front's banner to read June 30, 1986 as opposed to the original 1st series expiration date of June 30, 1985. Kenner released all eleven 2nd series figures on the 23-back "Fan Club Offer" card style. All twelve 1st series characters also saw re-release on this card style.